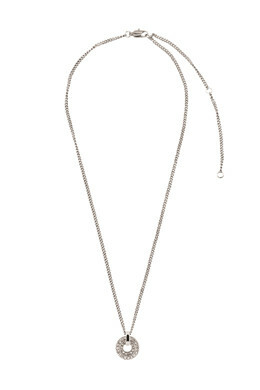 Simple yet stunning pendant necklace, adorned with shiny, facet cut crystals. Shown here in a silver toned finish with clear crystals. Chain length is 40 cm plus extension.